Are you constantly throwing away socks with holes? 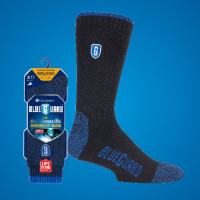 Blueguard durable socks are made with long filament polymer bonds that make them 46 times stronger than standard sports socks. Each pair of socks is guaranteed to last a lifetime. 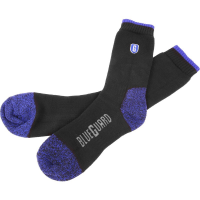 If any holes appear, Blueguard will offer you a brand-new pair. Standard sports socks only last on average 20,000 washing cycles. When they’ve been worn and washed too many times, holes begin appearing. This means you constantly have to spend time and money buying new pairs of socks, only to throw them away after a few months. 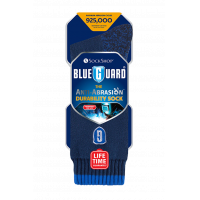 Blueguard durable socks are woven with long filament polymer bonds, meaning they can last up to 925,000 cycles – 46 times longer than standard socks. This makes the indestructible socks much more cost-effective than buying 46 standard pairs. 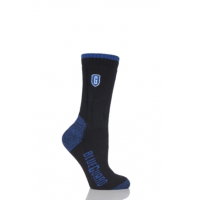 Approved by British Standards EN 13770:3002, your socks are made to last a lifetime. If any holes appear during that time, Blueguard will offer you another pair. 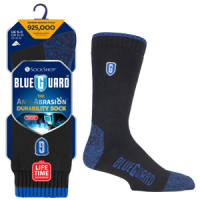 With a cotton rich body, reinforced toe seam, and extended heel, Blueguard’s durable socks offer comfort and support throughout their lifetime guarantee. 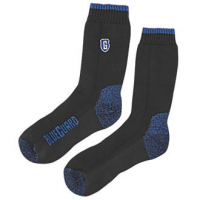 The moisture-resistant socks ensure your feet remain comfortable all day, every day, and in any environment. Long filament polymer bonds Guaranteed to last a lifetime. Stop wasting money throwing away so many cheap work socks. Scientifically approved Tested by British Standards EN 13770:3002, Blueguard socks last longer than any other sock on the market, making them much more cost-effective. Cotton-rich with arch support and full cushion Made from the highest quality fabrics, your socks are comfortable enough to wear all day long. 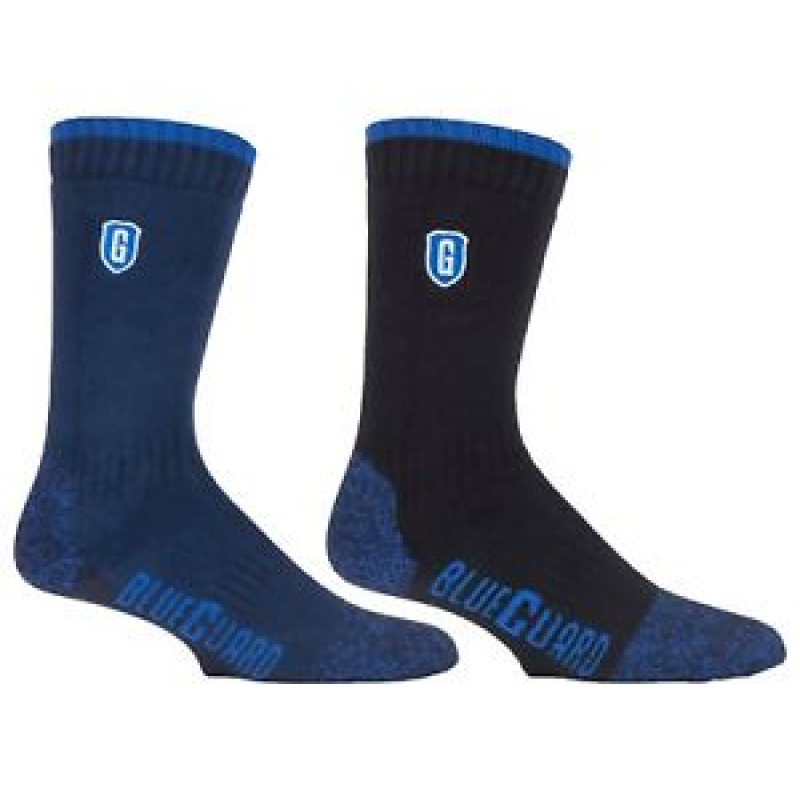 Different sizes and colours Anyone can find a pair of Blueguard socks to suit their needs.